With the number of games remaining in the regular season now down to single digits, the Ottawa 67’s will be looking for a strong finish that will help them get into a favourable position in the standings for the playoffs. The 67’s have won two consecutive games on the road and continue to battle for the sixth or seventh spot in the East with the North Bay Battalion. 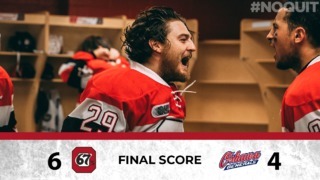 The wins over the weekend were big both in the standings and for the club’s confidence as the 67’s beat the Knights for the first time in 11 games and downed the Kitchener Rangers for the first time in eight. The Barber Poles could finish as high as fourth in the conference, sitting just a point back of North Bay to start the week and just three back of the Niagara IceDogs. With just nine regular season games remaining, the 67’s will be looking to make every result count. The Battalion have lost two consecutive games and find themselves in sixth position in the Eastern Conference. With the 67’s being one point behind, the Battalion are direct opponents in Ottawa’s playoff race. This will be the third meeting between these two sides this season with each team winning one game. Both those games went beyond regulation time with an overtime win for the 67’s in the first time encounter and a shootout win for the Battalion in the second. The Bulldogs are first in the Eastern Conference and hold a comfortable cushion on the second-second place Barrie Colts. 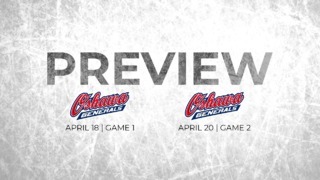 They have won three consecutive games, while the 67’s have lost their last six decisions against the Bulldogs. This will be the fifth time these two sides will meet this season. The key threat for 67’s will be the Bulldogs’ lead scorer Matthew Strome who has scored four goals in the last five games (34 goals this season). The Knights have already clinched their playoff position in the Western Conference but they are coming off two consecutive losses. This will be the second time in two weeks that these two will be facing each other. During the first meeting earlier this week, the 67’s delivered a strong performance in a 4-2 victory. Sasha Chmelevski has eight points in his last five games. Kody Clark scored a double in the last game. He broke his 10-game goal scoring drought with those strikes. Mitchell Hoelscher has now scored in two consecutive games, as has Tye Felhaber. 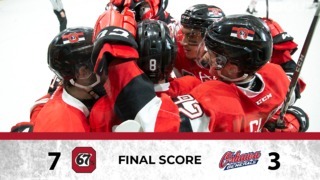 The 67’s play four of their final nine regular season games at home. 67’s defenceman Kevin Bahl is eligible to return to the lineup against Hamilton after serving a 10-game suspension.